Sale Sharks managed to climb to the eighth position in the ongoing Gallagher Premiership after securing a crucial 27-10 win over Bristol Bears at AJ Bell Stadium on Saturday. This is Sale Sharks' fourth win from 10 games while Bristol have slipped to 10th position with 18 points. The visitors got off to a promising start after Sale Sharks were penalised for an infringement at scrum and Ian Madigan kicked a third minute penalty. Madigan had a chance to double the lead for Bristol but his second kick found the base of the post. Pat Lam's side suffered a setback when George Smith was sin-binned in the 14th minute for a dangerous tackle following which Robert du Preez kicked a penalty goal to get Sale off the mark and soon their opening try came in the 24th minute after Sam James set Denny Solomona over the line. Du Preez missed out on the conversion but kicked two penalty goals in the remainder of the first half as the teams went into the break with a 14-3 scoreline. The Sale fly-half further extended the momentum into the second half with two more penalty goals to make the scoreline 20-3 before Bristol pulled one across with a touchdown from flanker Steven Luatua in the 70th minute that was improved by Callum Sheedy. 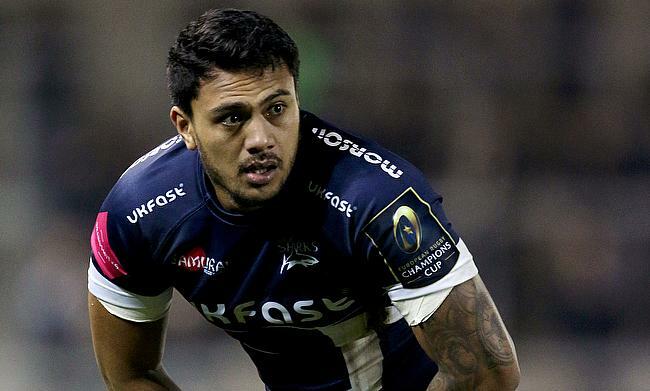 With the gap between the two teams at 10 points and with five minutes left in the game, Will Cliff crossed over in the final minute to complete a 27-10 victory for Sale Sharks.